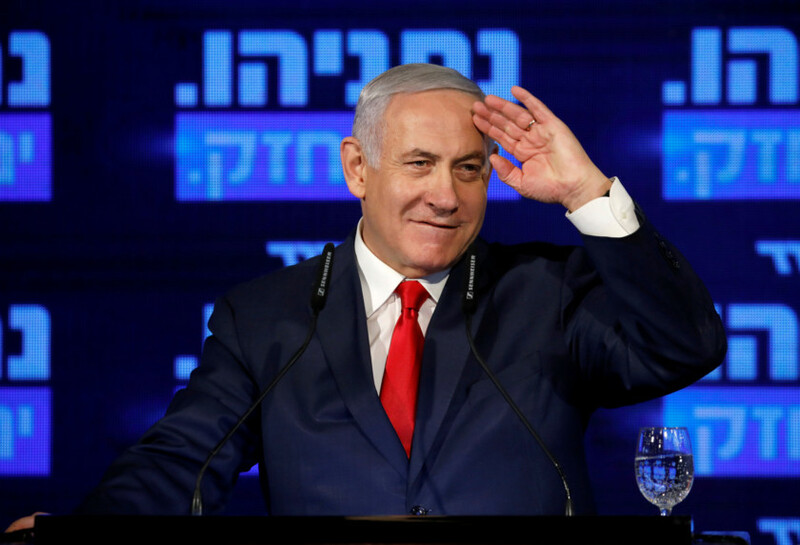 If ever there was a doubt for a single second that Benjamin Netanyahu was intent on removing the last remaining hopes for a just and long-term peace between Israel and Palestine, then look no further than his latest pronouncements on Saturday in a television interview. There, he mused that every Israeli colony regardless of where it was, is Israeli territory and then said that those in the occupied West Bank would be annexed if his Likud government is returned in elections tomorrow. Clearly, these are the musing of a megalomaniac drunk on the newfound influence flowing from the current White House administration. Netanyahu’s latest break from reality is meant to rally his ultra-Zionist base heading into tomorrow’s polls. He is a politician who has been tainted by corruption, by the trappings of being too long on power, and now sits by the table of Washington waiting for any crumbs to fall that might sustain his insatiable hunger for power at any price. Those who are naive might suggest that Netanyahu’s statements on the occupied West Bank are merely words meant to inspire his supporters in the last leg of that too-close-to-call election campaign. But the reality is that there is no place for naivety when it comes to the actions and intent of the Netanyahu regime. Netanyahu is a man who is emboldened by the misguided agreement by Washington to move its embassy to occupied Jerusalem and declare it the capital of the Jewish state. Were it not for a tweet from President Trump two weeks ago supporting Israeli’s occupation of the Golan Heights, Netanyahu would be drowned in political waters. And now, he is pitching to the hard right by trampling on the rights and lands of Palestinians in the occupied West Bank. Such a move would indeed mean that any hope for a two-state solution would be dead for the foreseeable future, and would drive a horse and carriage through the existing hard-won international agreements that recognise the rights of Palestinians. During the four terms of his occupation regime, Netanyahu has pushed for the building of colonies in occupied East Jerusalem, built a wall to keep Palestinians away from their fields and farms, imprisoned them without trial, waged open war on the Gaza Strip and turned it into the world’s largest open air prison where its people can be shot by marksmen at its fence. Now he is intent on erasing what little land Palestinians retain in the occupied West Bank. No, enough is enough. Enough of this megalomaniac.